The rent at 14950 Fairfield ranges from $835 for a one bedroom to a $915 one bedroom. Apartments in this building are about 20% less expensive than the Livonia average. 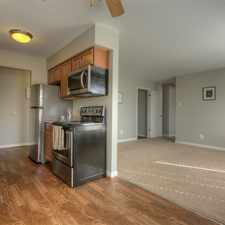 This apartment is in Livonia. Nearby parks include Kimberly Park, Harry Wolfe's Tot Lot and Bentley Field. 14950 Fairfield has a Walk Score of 43 out of 100. This location is a Car-Dependent neighborhood so most errands require a car. Fairfield Arms Apartments offers large living areas, private dining with breakfast bar, ceiling fans, and kitchens complete with double sinks, garbage disposal, dishwasher, oak cabinetry and pantry storage. Laundry facilities and extra storage are available. We are within a quiet residential neighborhood, walking distance from the Livonia Community Recreation Center and minutes from I-96, I-696, I-275 and M-14. Explore how far you can travel by car, bus, bike and foot from 14950 Fairfield. 14950 Fairfield is in the city of Livonia, MI. Livonia has an average Walk Score of 34 and has 96,942 residents.